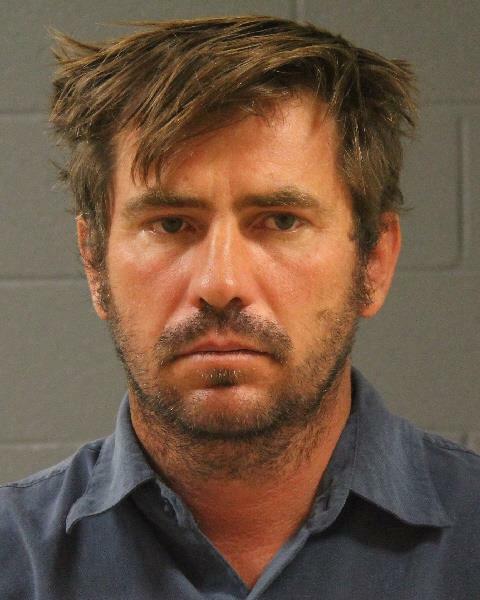 ST. GEORGE — A disturbance call in Hildale resulted in the arrest of a man on suspicion of multiple offenses after the suspect led police on a short pursuit Wednesday evening. At around 5:30 p.m. an individual called 911 to report a disturbance at a residence near Oak Street in Hildale, Chief Mark Askerlund of the Colorado City Marshal’s Office said. The 911 caller told dispatchers that the man involved in the disturbance, later identified as Carl Steed of Colorado City, was refusing to leave the property. Deputies responded and were told Steed had left the premises after the 911 call. An officer was able to quickly locate the man’s vehicle and began following the car with lights flashing. Steed continued driving for a short distance before he pulled over. Upon speaking with Steed, the officer observed signs of possible impairment, Askerlund said, adding that the officer also noticed a young child in the car, which was littered with open alcohol containers. The driver was initially placed under arrest on suspicion of driving under the influence with a child in the vehicle. Meanwhile, a records check was returned showing two outstanding warrants, Askerlund said, including an out-of-state felony warrant and another for failing to appear on a prior DUI charge out of Washington City. Steed was then transported and booked into Purgatory Correctional Facility on the two outstanding warrants and several charges related to the traffic stop, including one third-degree felony count of evading and class A misdemeanor counts of driving under the influence with a child in the vehicle and reckless endangerment. “Reckless endangerment was added to the enhanced DUI offense because of the open containers found inside of the vehicle,” Askerlund said. The driver also faces one count of interfering with an arrest, a class B misdemeanor, as well as one class C misdemeanor count for the open container violation. At the time of this report, steed remains in custody on $11,410 bail. Welcome to the “city” Chief Askerlund. You are the right prescription for the ailing communities you serve. Best of luck to you.